For the last few years,eCommerce has become one of the best and popular source to earn money.Today thousands of companies and people sell products via online and it seems that shopping online will be the first choice of millions of people.The potential in this giant industry is getting bigger day by day and you can easily find almost everything in these eCommerce websites – from a needle to a car,everything.And in fact,you do not need a huge effort to manage these eCommerce websites. After the birth of WordPress it has become more popular because eCommerce plugins have been released and can be easily integrated to your WordPress blog.In today’s pğost we bring together professional eCommerce WordPress themes.We handpicked the below themes and believe me they are all professional.Here is the collection of 35 eCommerce WordPress themes. Barberry is a Modern Fully Responsive Retina Ready Woocommerce theme based on Twitter Bootstrap wide 12-column responsive grid, so now you can sell your products anytime, anyplace, on any device.The sliders are built using the powerful premium wp plugin, Slider Revolution, which comes with this theme. 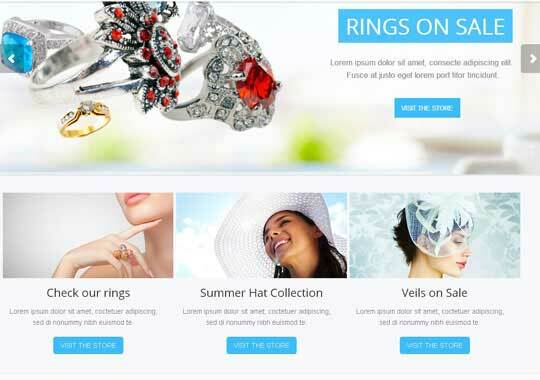 This theme is specially designed for Fashion store, particularly, clothing, accessories, shoes, and jewelry. It has such a modern design style that many customers request. Extremely clean and neat, pure white is a perfect reflection for your products. Packed with 12 page templates, Retail Therapy includes a partners template so you can showcase any companies and businesses you work with.Typography was a big inspiration for Retail Therapy and we made sure to obsess every font choice. Font sizes, line-heights and spacing were a massive focus for us and took up most of our time when developing it – the result is a beautiful balance between display fonts, serifs and sans-serifs. ShirtBox is a multipurpose WooCommerce theme with unique square look applying the latest flat-design style trend. Itís perfect either for ecommerce site, online boutique or creative business website. With Responsive feature, you no need to worry about losing sales just because your potential customers failed to load your website page completely using any device (mobile, tablet or PC).Responsive. Retina Ready. With Responsive feature, you no need to worry about losing sales just because your potential customers failed to load your website page completely using any devices (mobile, tablet or PC). 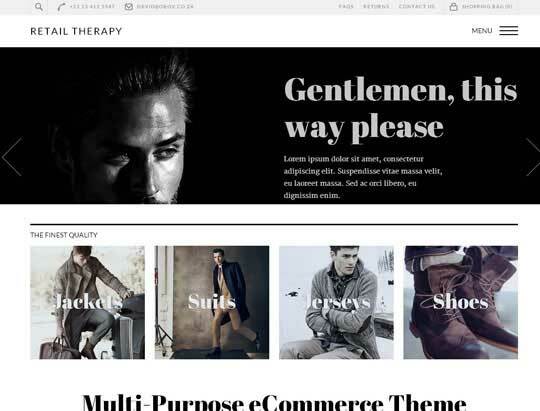 Shoppest is an elegant responsive woocommerce wordpress theme built on Twitter Bootstrap clean and easy to customize.Shoppest depend on WordPress Theme Submission Requirements. 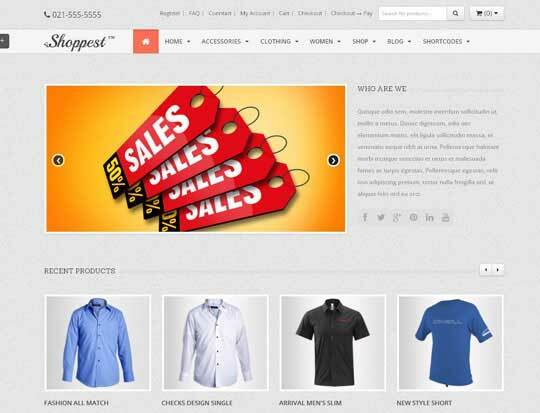 so shoppest theme includes two plugins first Sama Bootstrap Shortcodes and Shoppest Post Type used for slider. Buler is a premium responsive Ecommerce WordPress Theme with a clean and fresh Design and innovative AJAX loading of Posts and Portfolio items (you can turn this on and off on demand with one click in Page Builder.Theme comes with a Revolution Slider which is the best selling Premium WordPress Plugin for creation of Slideshows. It is one of the most advanced and highly customizable slideshows ever created. See the heaps of custom transitions/animations for each object on the page! Customize this slider with our convenient drag&drop backend to your very needs. This is an extra $15 of value (price of the plugin). 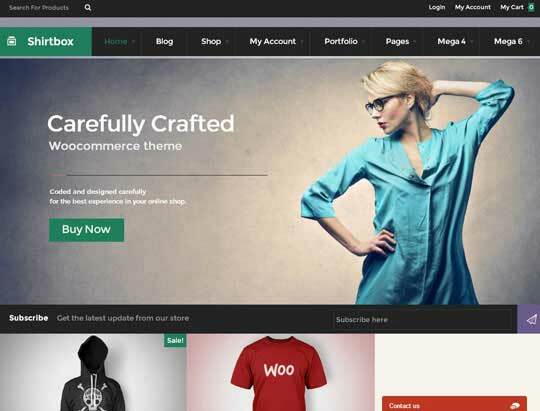 Reatro is a professional business & eCommerce wordPress themes, it can be used for multi-purpose, easy to install and customize with clean and flexible design. Welcome the newbie and elder wordpress user to play the theme. The colors option can help you to customize the inteface in 5 mins. 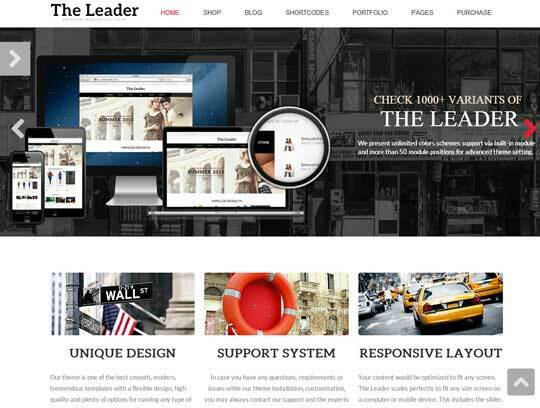 The Leader – Ecommerce Responsive Multi-Purpose Theme – is one of the best tremendous templates with an excellent unique design and premium quality. Template is developed on the basis of Twitter Bootstrap Framework, flexible platform that provides an excellent system optimization, support of any mobile and tablet devices. An ideal variant for designer/artist as well as for magazine and business type websites. The fully responsive design can be used for any type of website: corporate, portfolio, business, blog, landing page, etc. 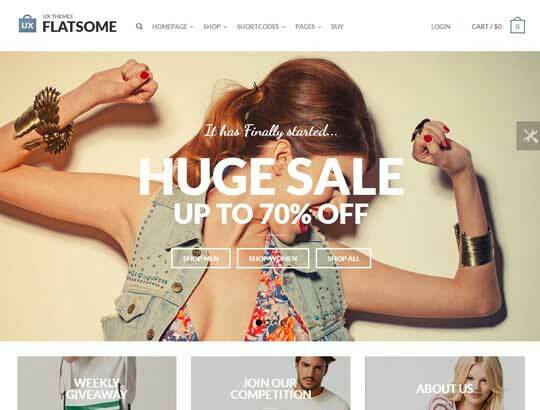 Flatsome is a beautiful responsive theme inspired by modern eCommerce designs.Flatsome use Shortcodes to create layouts and page designs. You should be familiar with how to use shortcodes before you purchase this theme.Product images or images used in sliders and banner examples are not included in this theme.Background textures and payment icons are included. Simple is a clean, fully responsive, Retina Display Ready, WooCommerce, light, fast, professional, flexible, modern & easy WordPress Template. Intuitive and ready with the most modern Technologies. Built with HTML5 & CSS3, based on Twitter Bootstrap & SEO Ready, we included all features you need to create your Business & Store web site. Beautiful design & super easy to use. – & we are Always Improving – Layer Slider included (15$ value), ShowBiz included (15$ value) & Page Builder(25$ value), with Premium Pro Visual Composer. Clean, fresh, responsive and easy to customize, unique multipurpose Premium WordPress WooCommerce theme. 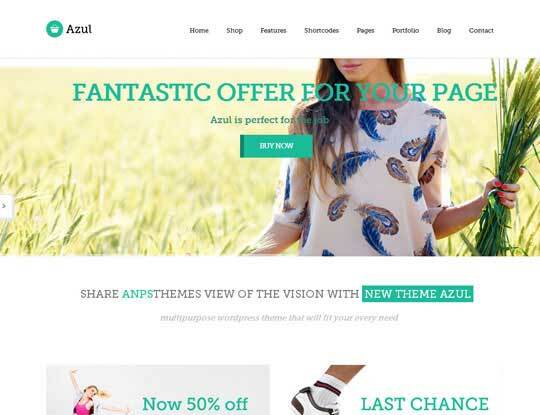 Azul is a unique,fully responsive, fresh, html5, css3 WordPress WooCommerce powered theme with 10 different color variations and demo content with one click activation. Our shortcode system will make your life easier and demo data install is a breeze. 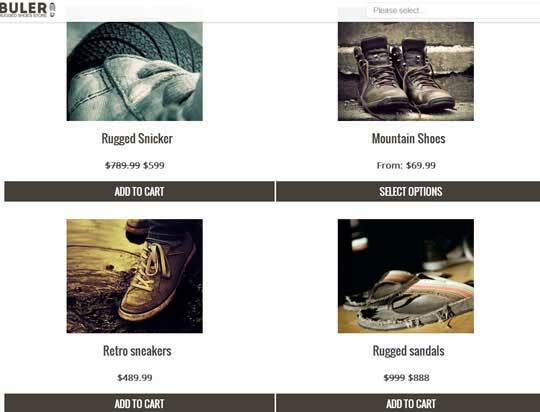 We introduce responsive on demand, let your visitor decide what they prefer, responsive or not, check it on your device. With unlimited colour settings, custom backgrounds, amazing revolution slider and much more this is truly fully customable wordpress theme. With great support we are sure this template will be a joy for you and your clients. 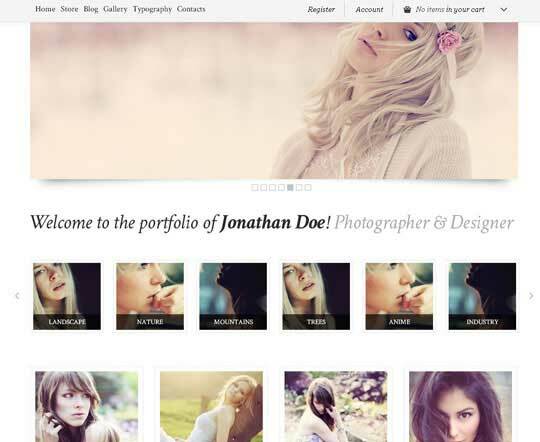 It can be used for business and corporate sites, your portfolio site or customize it to suit your wishes. TopShop is a multi purpose theme. Create an online stop, company website, personal portfolio or simply a blog. Mix and match to create your own site. 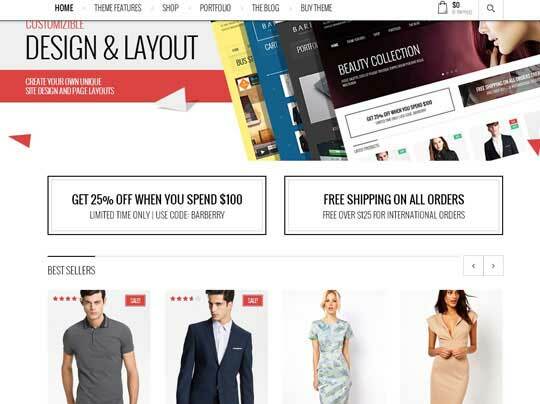 TopShop is easy to customize and configure to your needs.Theme options let you easily configure your theme. Changing color scheme, logo image, theme layout, fonts, or adding your Google Analytics code is so easy.Portfolio post types let you create and manage your portfolio with ease. Upload images and display them in an attractive way. Arrange into galleries, add tags if you’d like. 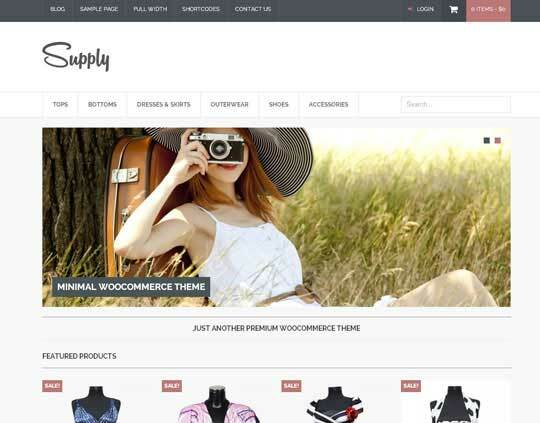 Supply is a minimal, eCommerce WordPress theme. 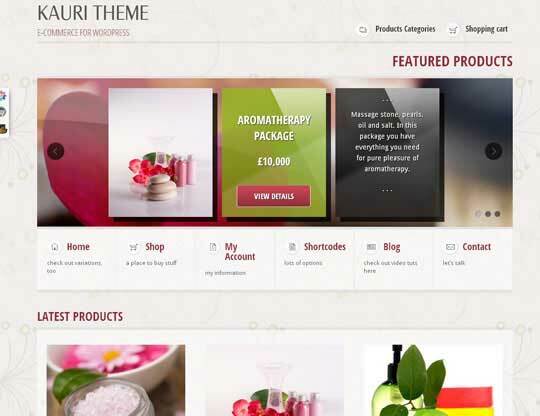 This theme is compatible with the popular WooCommerce plugin.Supply is responsive so your visitors can view an optimised version of this theme while using tablet and mobile devices. 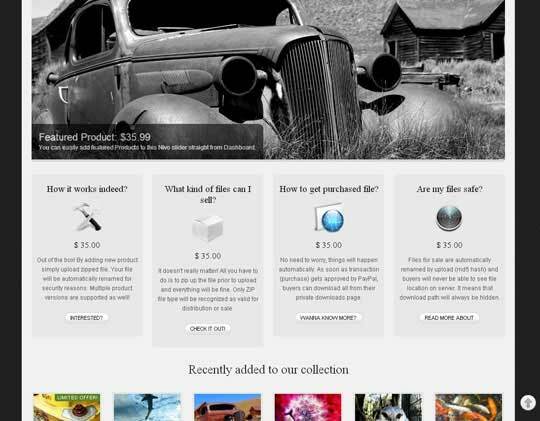 Store contains all the same features you see there – items such as an incredible themes options panel, 12 unique page templates, a gorgeous slider and an incredibly flexible home page.With the new Hero widget you are able to list items on sale, categories, featured products and recent products or collections. It’s dynamic and has similar usability to our super powerful Obox Content Widget.Along with the new Hero Widget, you can also feature specific categories in a three bloxk layout and add a call to action button in your footer. 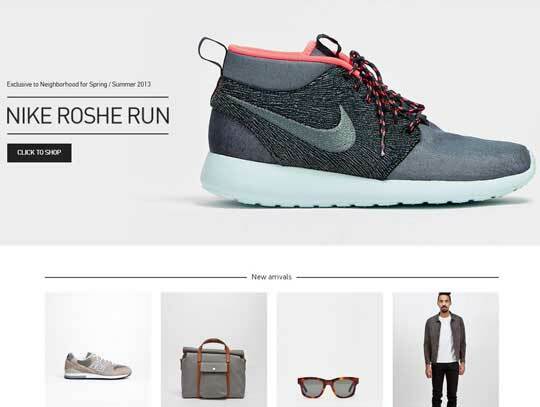 Sell is a beautifully designed, super flexible WooCommerce theme that is suitable for any type of products.The theme puts your products at the center of the site with a minimalistic design that doesn’t get in the way, product page content is loaded above the fold and predictive and live search make finding products really easy. 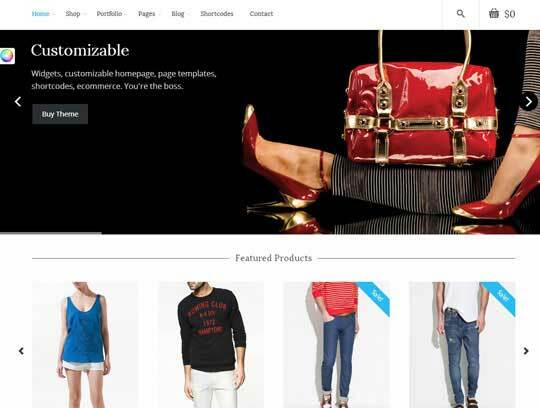 456Market is a modern WooCommerce theme, built on Bootstrap grid system for eCommerce, corporate websites. 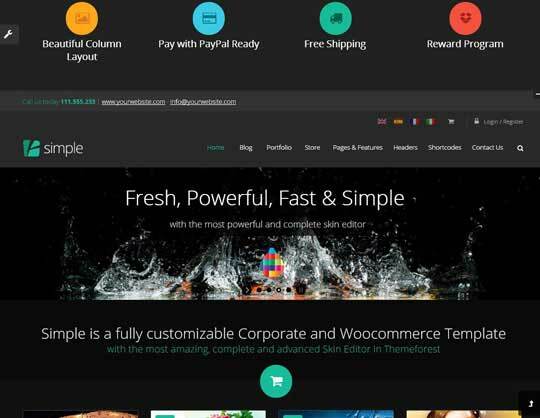 Theme is fully translation ready, compatible with WPML Multilingual CMS, WooCommerce Wishlists, WooCommerce Professor Cloud and WooCommerce Compare Products PRO plugins. 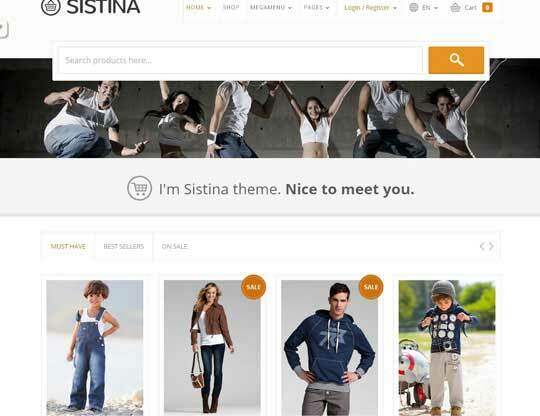 Sistina is a clean and modern Woo Commerce theme, designed with a fresh flat style and with a great responsive and retina-ready design.This WordPress template include a lot of premium features for a value of 220$, like the Wishlist and the compare products features, the product enquiry form (to use the theme like a catalog, without the cart) and the great ajax layered filter. 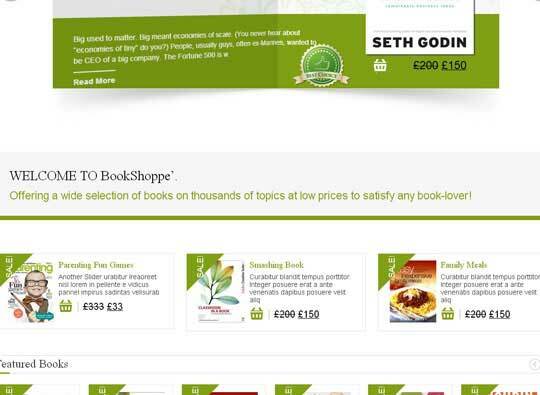 We also included a popup feature that usually has a value of 77$. Adamas is a premium responsive Ecommerce WordPress Theme with a clean and fresh Design and innovative AJAX loading of Products, Posts and Portfolio items.It is very flexible, with a clean & crisp design and is suitable for any kind of business. It features a premium Page Builder which will make your life a lot easier when creating new Pages for your Site. 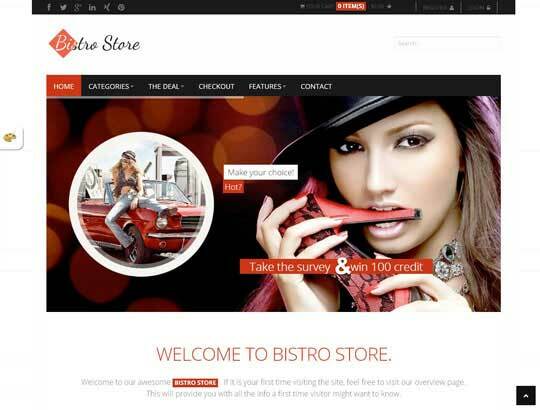 The Bistro Store WordPress theme is a custom design, clean and modern eCommerce WordPress theme built for flexibility. 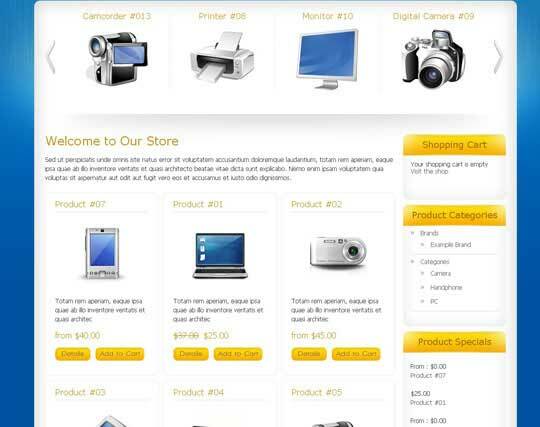 This theme builded with WP e-Commerce, HTML5, CSS3 and Bootstrap 2.3.2! 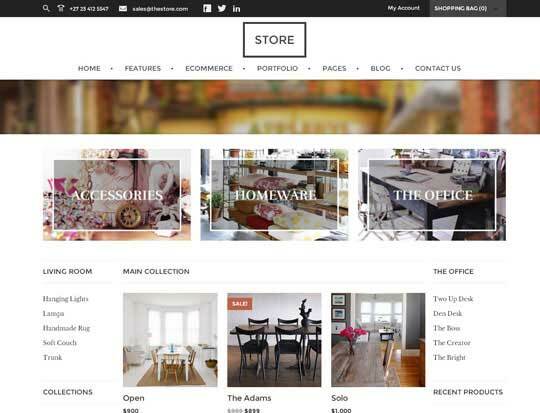 Bistro Store comes with custom page templates (homepage, portfolio, membership page), unlimited sidebars, unlimited color combinations, fully responsive (compatible all mobile devices like: tablet, mobile phone, laptops etc. Using child theme, you can customize the theme, without modifying our theme.With a child theme, you can also rebrand our theme with your own name.You will get unbranded theme settings page and you can customize the colors easily using design settings (customizer) page. 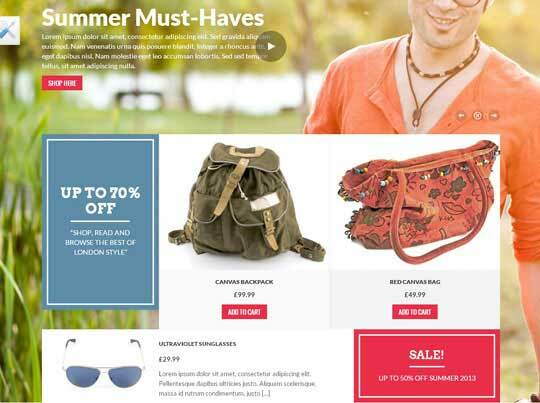 The theme is a HTML5 and CSS3 Responsive e-Commerce theme. Theme has multiple color schemes and patterns to make your site unique and standing out. 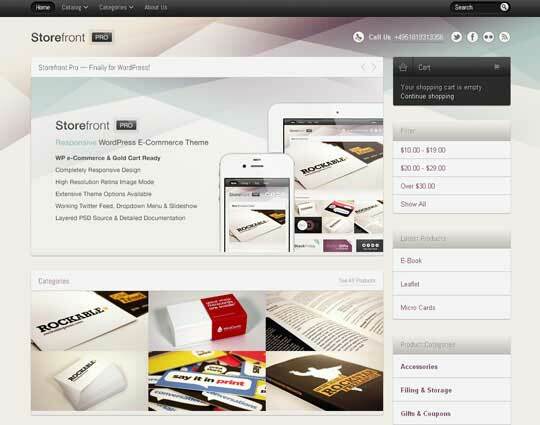 Based on the most popular and most flexible WP E-Commerce plugin the theme will help you create a great online store. Storefront Pro for WordPress is a responsive shopping cart theme written in HTML5 / CSS3 , which provides a convenient way for your customers to buy your products at home or on the go and which seamlessly adapts to your customers screen sizes no matter if they use a desktop pc, a tablet or a smartphone to view your site.This theme is compatible with WordPress 3.4+ and WP e-Commerce 3.8.8+ which is available for free at http://getshopped.org. Furthermore, it also supports all functions of the premium Gold Cart Plugin available for WP e-Commerce so you’ll be able to manage every aspect of your e-commerce business right out of WordPress itself. 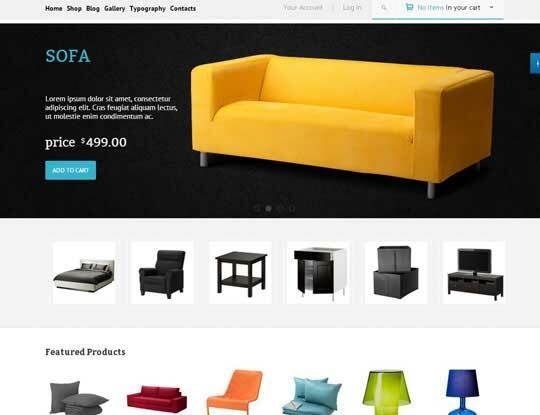 Sofa DownloadShop WordPress theme is made to allow users to sell digital goods. What kind of digital goods? Any kind! As long as file for sale is kept (uploaded) as ZIP archive you can be safe. It means that you can easily sell stock photos, fonts, videos, templates, software, icons – whatever you like.Payments are supposed to be made via PayPal and all of purchased files are immediately available for download straight from user’s private page. Of course, registration is a MUST and only verified payments (verified by PayPal) will generate required file download link(s). Flexible e-commerce theme, with wp-e-commerce plugin, ajax contact form, animated sortable gallery and much much more.The theme is compatible with “gold cart” plugin for wp-e-commerce ready. 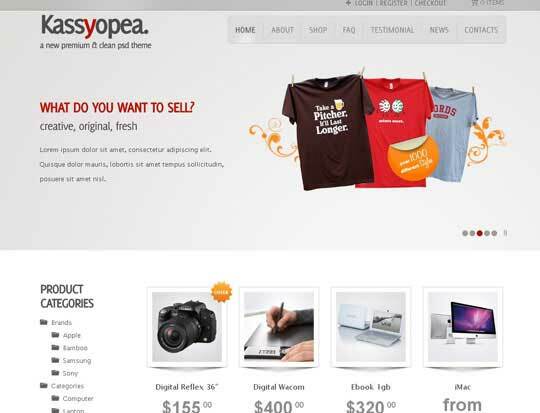 Kassyopea is a premium wordpress theme, build for an e-commerce or corporate/portfolio site. 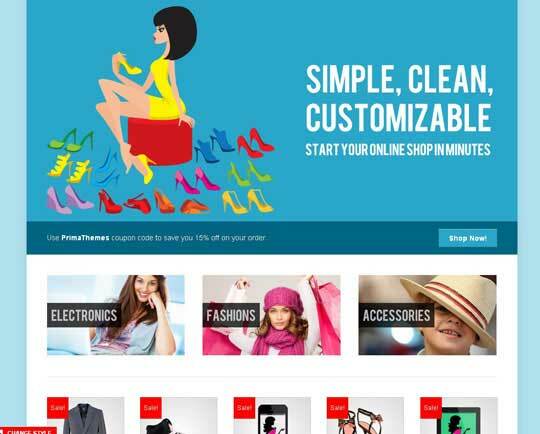 Kassyopea is fully customizable using the theme options page.You can set your theme as you want, also mixing element of the corporate and the e-commerce version. 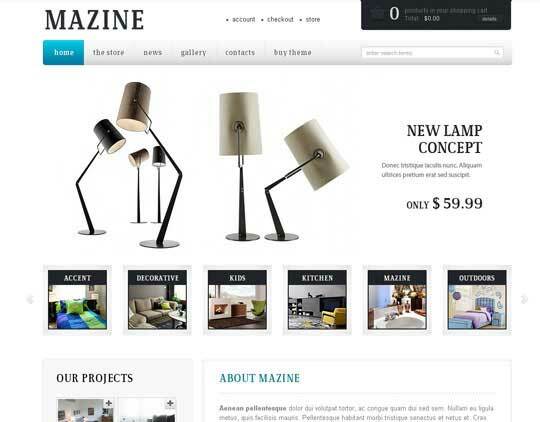 Each thing that you see in one version can be used in both layout, because Kassyopea is only ONE theme, but is optizimed to become a nice market with the wp e-commerce plugin. 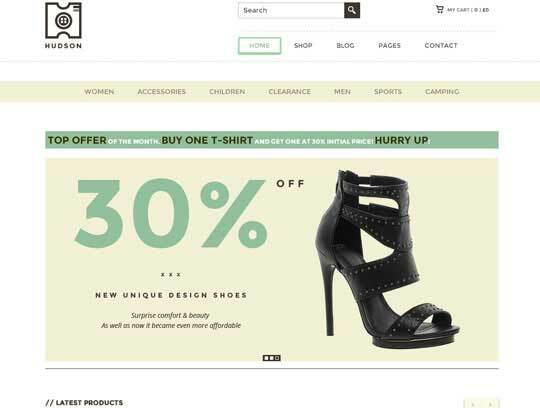 RGBStore is a clean, modern, web 2.0 style wordpress theme for ecommerce and shopping cart application. This theme comes with three color variations: red, green and blue.This theme is fully compatible with WP Ecommerce 3.8 plugin.